This report draws on input from the 5,247 C-suite executives (CxOs) who participated in our latest C-suite Study – the eighteenth in the ongoing series of CxO studies conducted by the IBM Institute for Business Value. We now have data from more than 28,000 interviews stretching back to 2003. 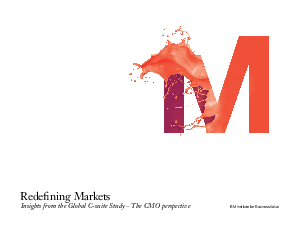 Here, we focus on the perspectives of Chief Marketing Officers (CMOs).